Spetisbury Construction are pleased to have been awarded Chartered Building Company status by Chris Blythe of The Chartered Institute of Building. 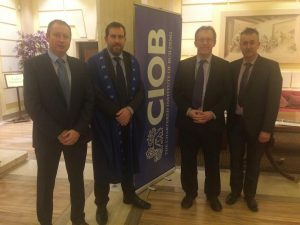 This is a natural move for the company given the ambitions of CIOB members on the board. It is also testament to the professionalism of the entire Spetisbury Construction team; well done to all.